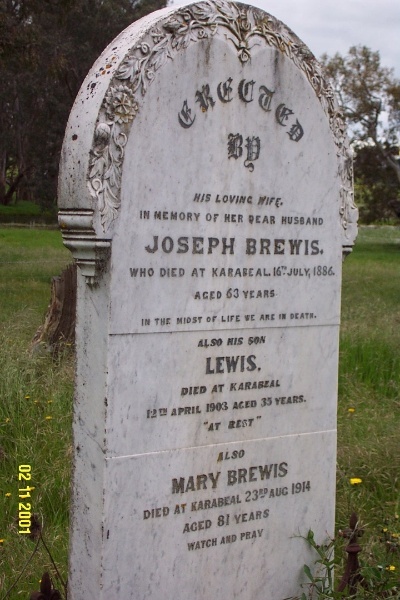 The Old Cavendish Cemetery is located approximately 1.5.kilometreswest of the centre of Cavendish, on the banks of the Wannon River. 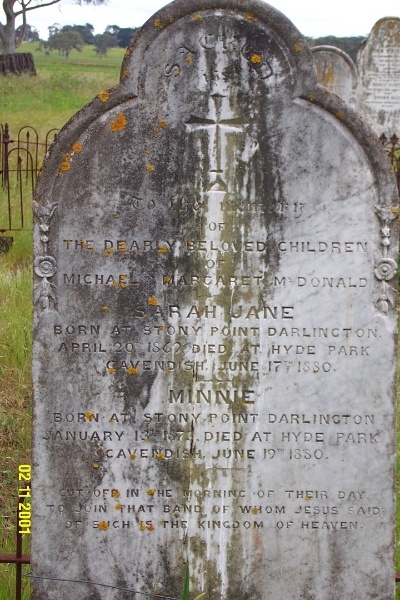 There are a number of graves dating from 1850 to 1922, even though the cemetery was condemned in 1895. The boundary is defined by Monterey Pines (Pinus radiata) and two mature specimens of Blue Gum (Eucalyptus globulus). The cemetery is in good condition and retains an excellent degree of integrity. 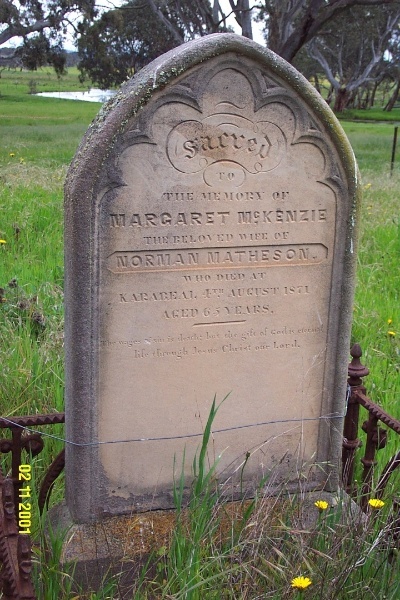 The Old Cavendish Cemetery is of historical, social and architectural significance to the Southern Grampians Shire. 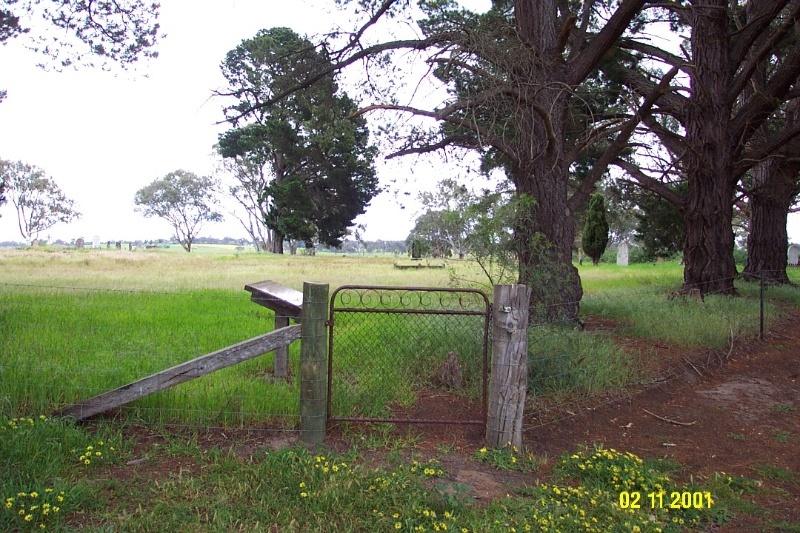 The Old Cavendish Cemetery is located on the banks of the Wannon River, approximately 1.5 kilometers west of the centre of the township of Cavendish. 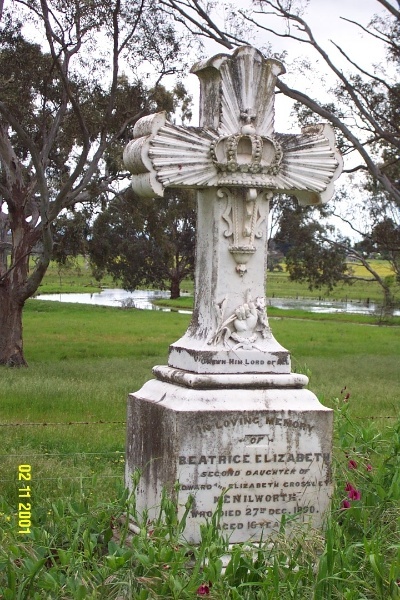 The site is approximately 0.7 hectares of sloping grassland with 32 above ground graves or headstones. There is a boundary planting of Monterey Pines (Pinus radiata), two mature Blue Gums (Eucalyptus globulus) . A typical cemetery planting, an Italian Cypress (Cupressus semprevirens 'Stricta') is planted on one of the graves, and a variety of different perennial plantings have escaped from individual graves sites to spread over the site. Some of these include Sweetpeas, Roses, Belladonna Lilly and Iris.